The main legal and ethical question debated in years to come may well be NOT whether Oklahoma executed an innocent man today, but why the state killed a man almost exclusively based on the testimony of an actual confessed murderer who received the lesser sentence of life in prison in the case. The murderer, Justin Sneed, received life in prison for his testimony against Richard Glossip in a plea deal with prosecutors. His supposed accomplice in the case, Glossip, pictured above, who has never been charged with committing the actual physical act of murder or even been alleged to have witnessed the brutal beating death take place, will die unless Gov. Mary Fallin issues a temporary stay of execution or an appeals court steps in and stops it. The murder case in a legal sense is a twisted, illogical quagmire. The outcome at trial was twice immoral. This particular death sentence is as barbaric as it gets. It exposes a major flaw in our justice system. For these reasons, and for the very real chance Glossip wasn’t an accomplice in the case at all as argued by his attorneys and supporters, the execution should be stopped. The pending execution of Glossip, who before the murder had no criminal record, has drawn worldwide attention and intense condemnation. Among the disparate group, which wants Fallin to issue him a 60-day stay of execution, are actress Susan Sarandon, former University of Oklahoma football coach Barry Switzer and former U.S. Sen. Tom Coburn. When Sarandon and Coburn, in particular, are in agreement on an issue Fallin should take notice. The 1997 Oklahoma City murder case has been described in the local, national and worldwide media in various and contradictory ways over the last several weeks, which only reveals the ambiguity of language, which is important because it was language and its limitations, not physical evidence, that convicted Glossip and resulted in his death sentence. Glossip, who has maintained his innocence, received two trials, which actually clouds the facts even further, raising the issue of who said what and when, who told the truth then and tells it now, and what were and are the underlying motives of authorities, those prosecuted in the case and those who testified in the case. The case is a muddle and morass of language and plural interpretation. It’s also very much about authorities in a law-and-order conservative state, which has the highest execution per capita rate among states in the nation, deploying the circular anti-life ideology of killing people in order to stop the killing of people. It reveals everything wrong about the death penalty, a punishment now prohibited or not practiced in most Western and enlightened countries and many states in our nation. Nebraska-NEBRASKA of all places-abolished the death penalty last May. Here are the basic facts without embellishment as reported in the media over the last weeks: In 1997, Glossip worked at a motel in Oklahoma City owned by Barry Van Treese, who was found beaten to death. Sneed, who also worked at the motel, admitted to murdering Van Treese. He testified that Glossip offered to pay him to kill Van Treese. 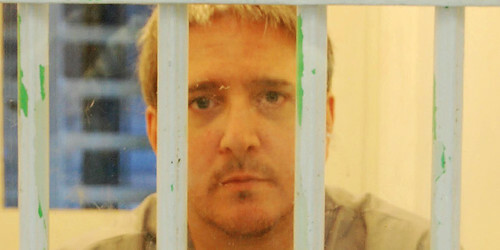 Glossip was eventually convicted and sentenced to death. Sneed received life in prison in exchange for his testimony against Glossip. Once we go beyond this basic frame of these facts, the questions of intent, importance and reliability get raised. Here are some important questions: Even if Glossip did ask Sneed to kill Van Treese, does he deserve to die while the actual murderer gets to live? Is our justice system unjustly weighted in favor of people accepting plea agreements even in something as important as a death penalty case? Did Glossip get penalized with “death” because he asked for a jury trial? Is that how our justice system in Oklahoma and in our country should work? Here’s a pro-death penalty version of the case from The Oklahoman. Here’s an anti-death penalty version of the case. Glossip’s attorney and many of his supporters say there is new evidence in the case that could exonerate him. His attorney yesterday also filed an emergency request with the Oklahoma Court of Criminal Appeals to stop the execution. Let me be clear: A 60-day stay of execution issued by Fallin wouldn’t hurt her or the Republican Party here politically. It’s not too much to ask of her. No one is asking authorities to release Glossip from prison. The appeals court could also act in Glossip’s favor, and it should. The execution is scheduled for 3 p.m. today. Fallin still has time to act. The appeals court still has time to act. It’s not too late. No one, and that includes Fallin, will lose face or their conservative strong-on-crime credentials here if Glossip doesn’t die today. There’s no such thing as consolation in this case, but if the execution happens it may well become the beginning of the end for the death penalty in Oklahoma. I believe that sincerely. Let the bell of justice ring out loud and clear if Glossip is killed under the auspices of the state of Oklahoma today for a murder no one claims he physically committed.